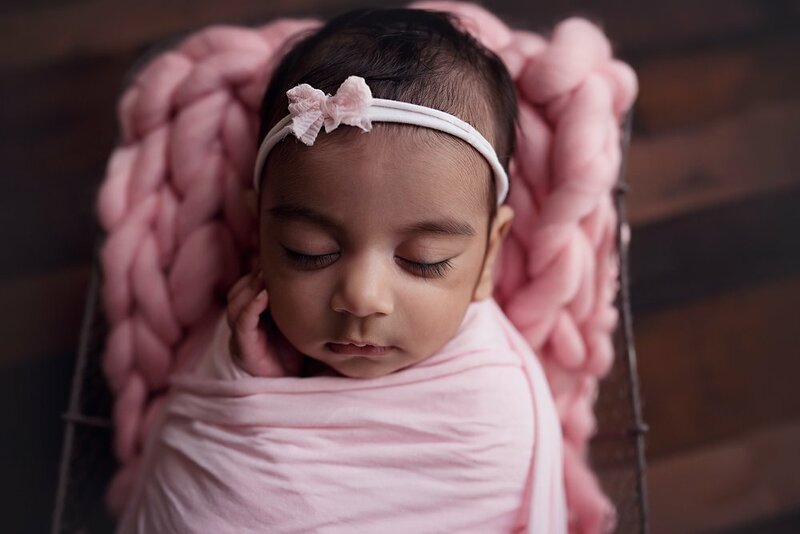 According to most newborn photographers, the ideal age to photograph babies for a newborn photography session is 5-10 days. My favourite age to photograph them is when they are between 2-3 weeks of age. When they have reached 2 weeks, mums milk has always come in, and in my experience I find 2-3 week olds to be generally that little bit more settled. But everyone is different, that is just the age I prefer and the age I like to get pre-booked in babies to come and visit me :). In saying that, not everyone organises a newborn photographer when they are pregnant, and I am happy to photograph them when they are a bit older. 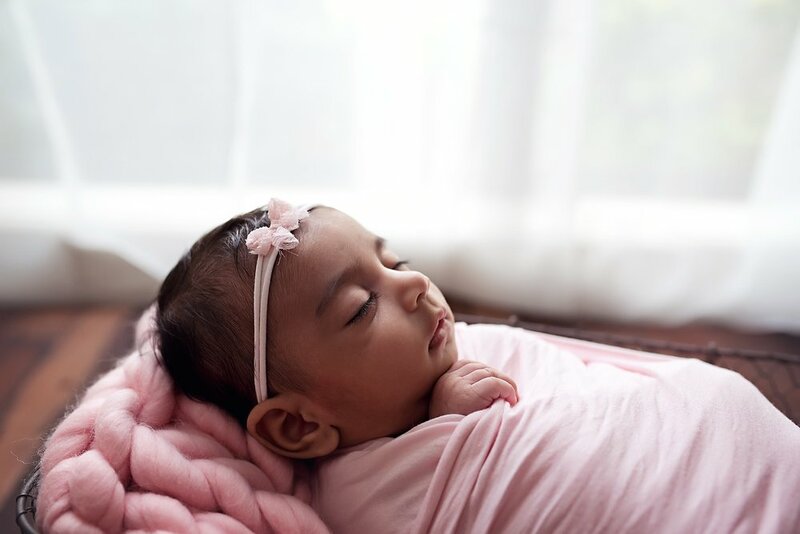 The older they get, the more likely you are to get more awake baby shots included in your gallery, which parents also love. 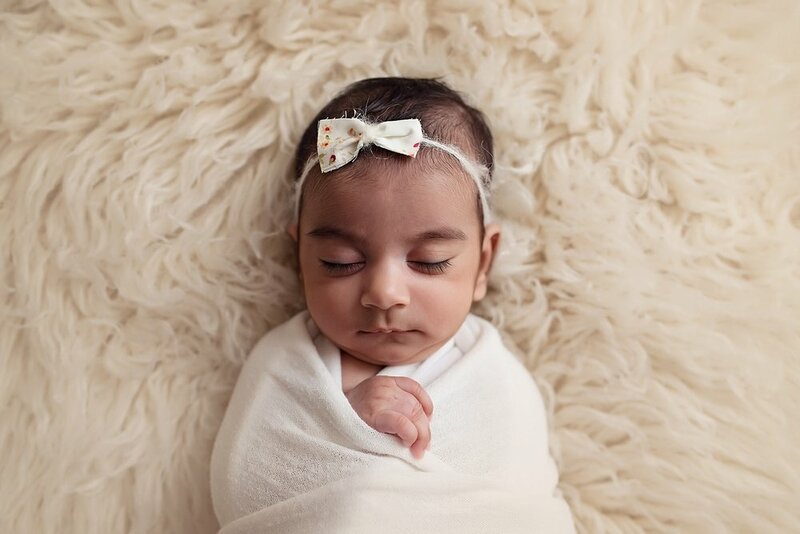 The beautiful little Serena, is an excellent example of how an older baby can still have a newborn session. 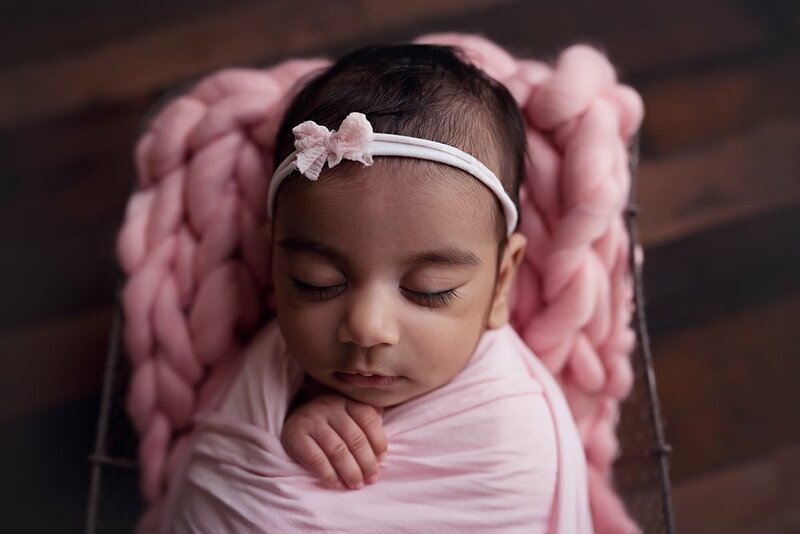 Little Serena was 12 weeks old when she came in for her Newborn Photography Session with me, and she was perfect. She slept like a little gem. 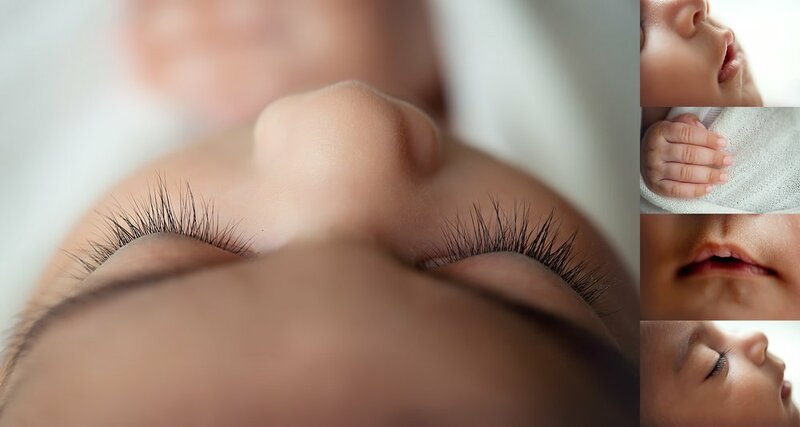 Serena had the most incredible eyelashes! Can you believe how lush and thick they are? 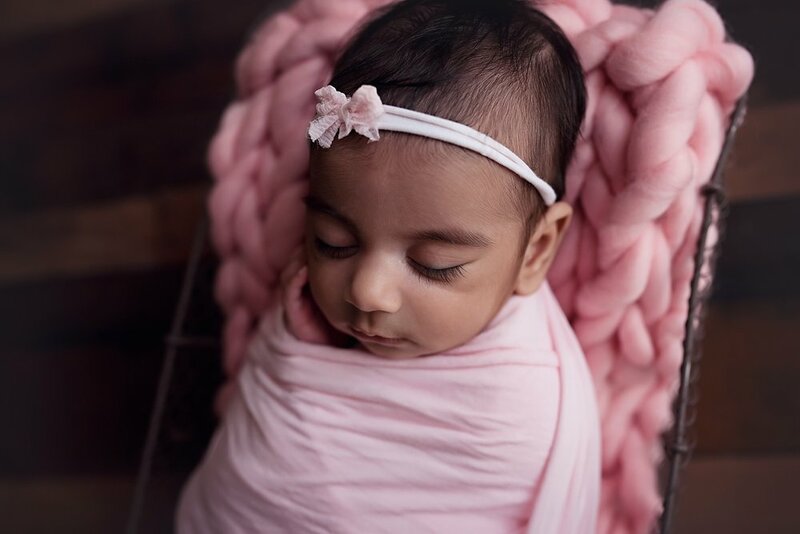 If you are thinking about booking me as your Newborn Photographer, it is best to book whilst you are still pregnant to ensure you don't miss out on a session time.